Subaru's new hybrid is being unveiled at the New York Auto Show. Subaru is coming out with a gas-electric hybrid crossover SUV for the crunchy granola crowd that wants to save fuel but still haul kayaks to the river. 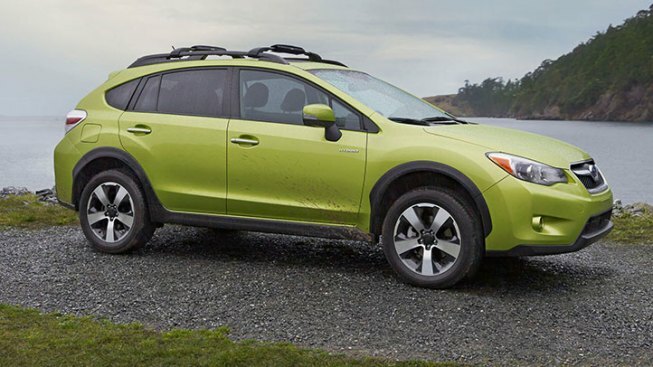 The Japanese brand, which specializes in all-wheel-drive vehicles, unveils the 2014 XV Crosstrek Hybrid on Thursday at the New York International Auto Show. Subaru also will unveil a concept WRX high-horsepower compact car that strongly hints at what the next generation pocket-rocket will look like. The company says this WRX is lower, sleeker and wider with a bigger grille, while it keeps the classic hood scoop with clearance for a new turbocharged engine and air cooler. Subaru didn't say when the new WRX would hit showrooms or give further details.